Do you want to minimize the look of wrinkles and fine lines on your face and improve the quality of your skin? Mesobotox may be right for you! Mesobotox is Dr. Rodriguez unique combination of botox and cosmetic mesotherapy for skin rejuvenation. It gives you all the benefits of botox, plus helps it last longer and improves the quality of your skin. 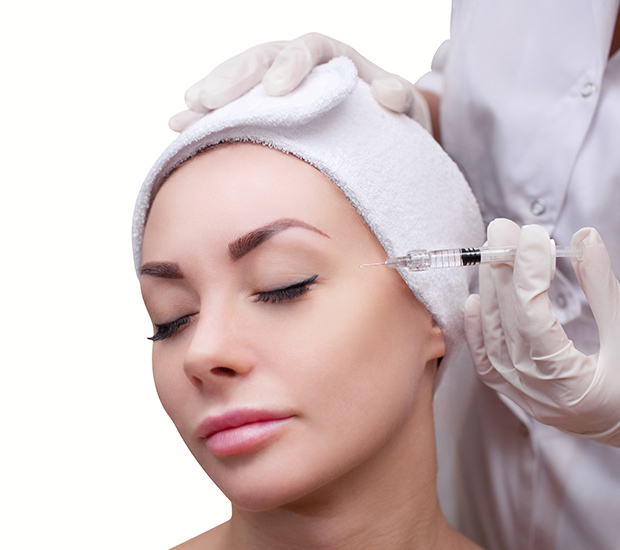 Botox itself is a great tool used to rid your face of unwanted lines and wrinkles. It provides users with quick results and no downtime. It is the number one cosmetic procedure in the U.S. and one of the most studied medications in the history of medicine. Lines and wrinkles form from changes taking place in the skin. As we age, skin thins and the muscles underneath cause the skin to fold over, leading to wrinkles. Botox relaxes the muscles that are folding the skin, but it doesn’t do anything to improve the actual quality of the skin itself. Mesotherapy, used in this case for skin rejuvenation, can help. With Mesotherapy, a combination of nutrients is injected into the skin that is designed to nourish the desired area. This helps remodel the skin and keep it looking healthy. It is injected deep down into the skin into the collagen layer which helps keep skin toned and tight longer than just Botox alone. Used in combination, Botox and mesotherapy ultimately improve the quality of skin and make it more wrinkle resistant. Even when the Botox wears off, your skin will look healthier and more refreshed. During the procedure there is little to no pain associated with the injections, thanks to a specially formulated anesthetic cream that you apply about 30 minutes before treatment. Oftentimes we just put an ice pack on the skin to numb it a bit, if the Botox is done alone separately. Mesobotox is precisely administered by Dr. Rodriguez himself after careful examination of your facial musculature position, tone and unwanted wrinkles. Dr. Rodriguez then marks exactly where a specific amount of Botox is to be administered to give you the longer lasting affects, while preserving a naturally relaxed look. He then injects the mesotherapy nutrients directly into the base of every line and wrinkle and the surrounding skin. A growth factor cream is applied over the treated areas to complete the therapeutic session.